South Korean tech giant Samsung has permanently stopped production of its high-end Galaxy Note 7 smartphones after reports of devices it had deemed safe for customers started exploding as usual. The firm had initially reduced Galaxy Note 7 production volumes. The firm had earlier said it would stop sales of the phone. Some of the statements made by the company can be found below. 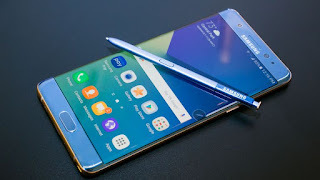 "We recently readjusted the production volume for thorough investigation and quality control, but putting consumer safety as top priority, we have reached a final decision to halt production of Galaxy Note 7s,"
Earlier, consumer tech analyst Caroline Milanesi of Creative Strategies told the BBC that Samsung should "call it a day" on production of the Galaxy Note 7 to limit long-term risk to the brand. Although, South Korea's finance minister had warned that the country's exports would be hurt if the phone model was scrapped. It later insisted that all replaced devices were safe. However, that was followed by reports that those phones were catching fire too. A Kentucky man said he woke up to a bedroom full of smokefrom a replaced Note 7, days after a domestic flight in the US was evacuated after a new device started emitting smoke in the cabin. Even as late as Monday evening, a spokeswoman insisted the phones were safe to use. But on Tuesday, the company said it would stop Galaxy Note 7 production. Authorities in the US and South Korea are investigating why even the replacement Note 7 phones that Samsung equipped with a safer battery reportedly caught fire. An official at the South Korean safety agency said the replacement phones might have a defect that was different from the problem with the original Galaxy Note 7s. Samsung could suffer "a considerable loss of consumer faith," said Greg Roh at HMC Investment Securities. "If it's once, it could be taken as a mistake. But for Samsung, the same thing happened twice with the same model," he said. "The reason consumers prefer brands like Samsung and Apple is because of product reliability. So in this case, brand damage is inevitable and it will be costly for Samsung to turn that around again." At least five fires were reported in replacement devices in the US. Samsung said it had sold about 45,000 Note 7s through pre-orders in Europe. The handset was never released for sale in the UK. Analysts are suggesting the recall and now scrapping of the Note 7 could cost Samsung in the long run, particularly coming just as rivals including Google and Apple have announced new high-end smartphones. Richard Windsor, from Edison Investment Research, said: "As a result of making a complete mess of the Galaxy Note 7 recall, Samsung is more likely to lose a large number of high-end users to other Android handsets rather than to Apple. "The real issue is brand and reputation. As long as Samsung carried out the recall smoothly and kept users very happy, the issue would eventually blow over. "Unfortunately, this is very far from the case, and the fact that Samsung appeared to still be shipping defective devices could trigger a large loss of faith in Samsung products."